We organise only one Pilgrimage to the Monasteries in Moldavia every year, always in the same period: 6 – 16 September. The Pilgrimage lasts for eleven days and takes us through the famous Land of the Monasteries, one of the most beautiful parts of Romania and the spiritual heart of the country. In a relatively small area, hundreds of monasteries, sketes, hermitages and churches have been built during the centuries. 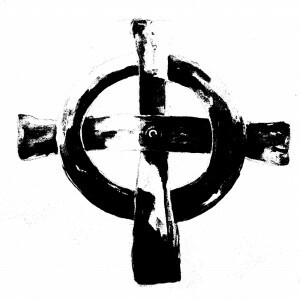 Almost all of them are still populated by monastic communities and in use, while new sketes and churches are being founded every year, the concrete expression of the deep and living faith of the people. As with our Celtic Pilgrimages, I am doing everything possible to offer you the experience of a real, prayerful Pilgrimage. We are not operating as a tour company; we are a small monastic community that tries to share with you the spiritual joys of a real pilgrimage. Because we know you and the world you come from (all our pilgrims come from Western countries), we are in a position to offer you a balanced combination of safety and comfort, while not sacrificing on the spiritual benefits of a pilgrimage. For most of the pilgrimage, we shall be accommodated at the Skete of Rasca Monastery, the Monastery where I became a monk and a priest. We shall eat in the Monastery and have the opportunity to speak to the Abbot and the brothers. The skete has new and comfortable accommodation facilities for pilgrims, but it is about fifteen kilometres deep in the forest, so we shall also have the unique opportunity to see and partake in the life of a small and secluded brotherhood. The cost of the pilgrimage is 2200 US dollars (1800 British pounds), and is split between a Deposit (600 US dollars or 500 British pounds) and a Balance (1600 USD or 1300 British pounds). A place is booked only after payment of the Deposit. The cost of the pilgrimage includes: 10 nights of accommodation (two persons in a room); transport from the airport in Iassy (Iasi) to Rasca Monastery and back; transport to all the Monasteries we shall visit; all meals for the entire duration of the Pilgrimage and all other expenses related to the Pilgrimage. It does not include the travel expenses to and from your home country to Iassy, Romania. Below is the intended schedule of the Pilgrimage. We may change the order in which we visit places, but these are the Monasteries we shall visit. Day 1: We meet in Iassy; we visit the Three Hierarchs Cathedral, we get our blessing from the relics of St Paraskeva; we travel to the Skete of Rasca Monastery – Rasca is my home monastery, where I was received as a novice, tonsured into monasticism and ordained as a priest. 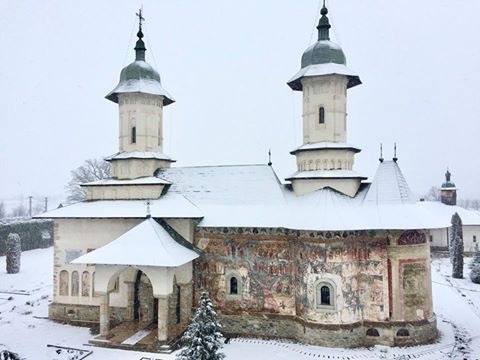 Day 2: We visit the Skete and the main Monastery of St Nicholas in Rasca (one of the famous painted monasteries of Moldavia); we get to know the Abbot and the brotherhood. Day 3: We travel South and we visit Agapia Monastery and the Skete of Agapia Monastery. Ziua 4: Varatec Monastery (where St Daniil the Hermit is buried) and the Skete of Sf Teodora from Sihla. Day 6: We travel North. We visit Arbore Monastery și Sucevița Monastery on our way to Putna Monastery. Both Arbore and Sihastria are among the UNESCO world-heritage painted monasteries. Ziua 7: We visit Putna Monastery, The Monastery of Sihastria Putnei (Putna Hermitage), the Cave of St Daniil the Hermit, and the oldest wooden church in the country. Ziua 8: After the Divine Liturgy at Putna, we travel back South to Rasca Monastery; on our way we stop to visit Moldovita Monastery, another painted monastery. Day 9: (September 14th: the Elevation of the Cross) The Feast Day of Rasca Monastery. We shall be part of the entire Feast – the services, the veneration of the holy relics, eating with the hundreds of pilgrims who will come for the Feast. 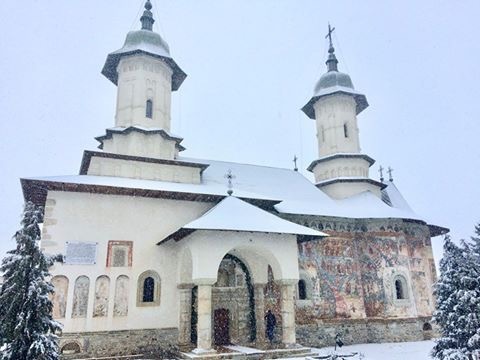 Ziua 10: Day at our disposal – we can either visit another Monastery (for example, the two monasteries in Suceava – Dragomirna and St John of Suceava, or the Monastery of Petru Voda, where Fr George Calciu and Elder Iustin Parvu are buried) or we can spend the day at the Skete, in the forest, resting and preparing for the trip back home. Ziua 11: we travel back to Iassy.